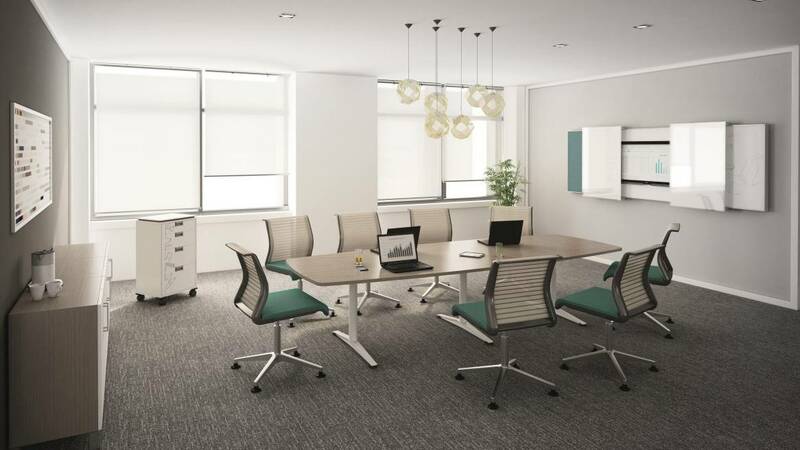 Tenaro Conferencing is designed to support seamless interactions between people and information, making room for collaboration. 80% of the tasks will be executed in teamwork. Organizations rely on effective collaboration to generate new ideas. 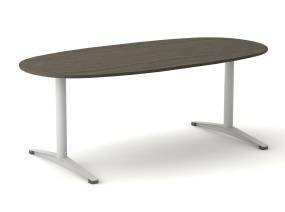 Tenaro Conferencing table shapes and sizes allow to configure different settings – from conferencing rooms to training spaces. 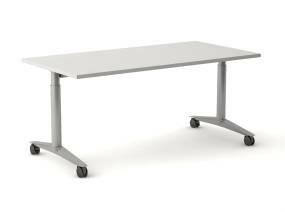 It provides for both short spontaneous meetings and for long planned meetings. Informative meetings require comfort for everyone. Both the T-leg and telescopic provide constant ergonomics and comfort for users, wherever they are seated, all around the table. Project teams need an environment that removes both physical and virtual barriers, allowing them to freely engage with both analog and digital tools. Tenaro’s unique triangle shape supports active collaboration, by giving participants equal access to the others and the information displayed. Training is key for companies who want their employees to achieve the best results. 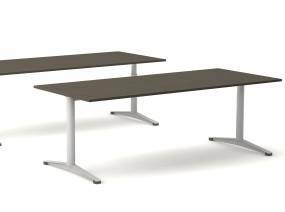 Tenaro mobile tables facilitate fluid transitions between learning modes, making it easy to reconfigure face to face settings into more formal configurations. Made with up to 24% recycled content. Tenaro contains no hazardous materials: no PVC, no cadmium, no lead, no chrome, no mercury, and no flame-retardants. Tenaro packaging consists of cardboard and LDPE film (Low Density Polyethylene). The LDPE film contains 30% recycled material. Printing inks are water-based inks without solvent. Tenaro was designed to be made with minimal waste energy consumption and environmental impact.Powder-coat painting is VOC-free and free of heavy metals. Glue used to attach edge on table is water based and releases no VOCs. The Production in Rosenheim is ISO 14001 and EMAS II certified. 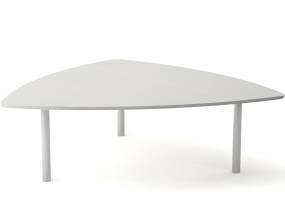 Tenaro is modular and easy to upgrade or repair which ensures a long life of the product. Wood particleboard follow the low emission E1 (EN 13986) standard for Formaldehyde. Tenaro is modular and easy to disassemble using normal hand tools. Plastic parts weighing more than 50 g are marked for recycling, as well as those big enough to be marked. All materials of the packaging (cardboard, Expanded PP and LDPE film) are 100% recyclable.